Reprinted from AWWA Free Water Audit Software v5.0. Copyright © 2014 American Water Works Association. Despite my fascination with the adage, “The definition of insanity is doing the same thing over and over again, but expecting a different result,” I still occasionally find myself — a creature of habit — falling into a pattern of repetitive unsuccessful behavior. When it comes to non-revenue water losses, how many water utilities are in the same boat — knowing that some degree of water loss is occurring, but never quite getting around to the point of quantifying it? Fortunately, the AWWA has a solution in its M36 water audit guidelines and free water-audit software, which provide reliable methodologies for breaking costly old habits. Answering the question of how your utility is doing starts with establishing an audit performance benchmark, then following up annually with comparative audits. The State Of Water Loss Control In Drinking Water Utilities — a white paper available from the AWWA website — outlines the many categories that make up non-revenue water loss (Figure 1), along with some best practices for controlling those losses. Another AWWA resource is the guidance manual, M36, Water Audits and Loss Control Programs (4th Ed; 2016), which offers a look-inside preview available in a PDF format. Reprinted from M36 Water Audits and Loss Control Programs, Fourth Edition. Copyright © 2016 American Water Works Association. Figure 1. Water use can fall into a variety of categories — revenue-generating, non-revenue-generating, known, and unknown. 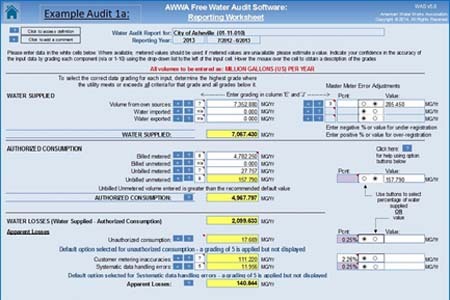 The M36 audit methodology and the free water-audit software available at the bottom of AWWA’s Water Loss Control webpage represent sound approaches for any water utility — whether or not they face state-mandated audit requirements. 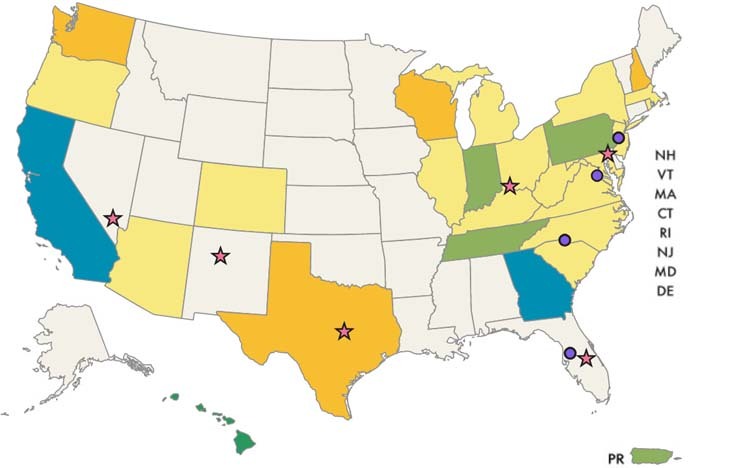 States that require full compliance with the M36 audit methodology or rudimentary reporting compliance are shown here (Figure 2). Figure 2. According to the AWWA, its free water-audit software was downloaded 7,175 times between 2014 and 2017. As of 2018, only 6 states have mandated use of the M36 methodology, 20 more mandate only rudimentary water-loss reporting, and 24 states have no water-loss reporting mandate at all. Quantifying the impacts of water loss extends to both cost implications and water scarcity implications, each with ripple effects to other aspects of water supply operations. Being prepared to identify and minimize both the costs and the side-effects of unchecked water loss can help to break the vicious cycle where unaccounted losses lead to increased stress on a dwindling resource. Source Water Volume. Without knowing exactly how much raw water is entering your plant, it is difficult to establish a frame of reference for how much goes unaccounted for in your billing process. Billed Metered Consumption. Not all water customers are equal. Even a small rate of error at the largest accounts can have disproportionate impact on system-wide losses. Customer Metering Inaccuracies. When was the last time you audited the collective under-registration of customer water meters? A formal audit process will ensure that such overlooked factors get addressed and quantified in a methodical manner. Implementation Of Water Loss Control Regulatory Approaches. 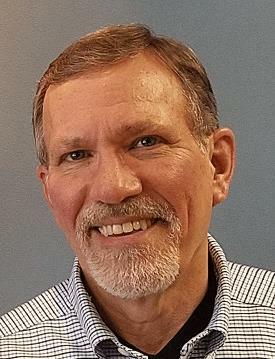 While not every jurisdiction currently requires a formal audit process, continuing issues with water scarcity could soon make that issue more prevalent. Occurrence And Impact Of Apparent Losses. Knowing more about the causes and impacts of apparent losses enhances the ability to develop viable loss-control strategies. Optimizing Revenue Capture And Customer Data Integrity To Control Apparent Losses. Examining meter accuracy, meter reading practices, and customer billing systems can reveal new information that might be used to develop better apparent-loss strategies. Understanding Real Losses Due To Leakage. Water utility leakage is not a static situation. The effects of time, location, and changes in operating pressures can progressively magnify impacts, in terms of gallons lost and dollars spent. Planning And Sustaining A Water-Loss-Control Program. Once the hidden pitfalls and contributing factors in water loss are identified, it becomes easier to develop a cross-functional water-loss task force that can identify needs and develop successful water-loss-control programs. Addressing The Special Needs Of Smaller Water Systems. Like so many aspects of water treatment and distribution, water-loss-control is not a one-size-fits-all solution. Learning how to address unique technical, financial, and accountability issues can make a big difference in the success of water-audit and loss-control approaches at cash-strapped smaller water utilities. Some might say, “We’re so busy putting out (hypothetical) fires that we don’t have time to build a ‘fire department’.” At some point, however, we all need to admit that simply rushing from one wildfire to another can eventually become “insane.” Consider downloading the resources from the above AWWA links, today, and explore the benefits they offer for your utility. It might take a month or two before you can change the impacts of non-revenue water losses, but I promise you will thank yourself in the long run.